automobile ownership, Corvettes in particular. support club activities including local charities involving children. Sponsors are featured on the club website and in the monthly club newsletter. Murrieta and surrounding areas, including Fallbrook and Riverside. of Corvettes of Temecula Valley. Click on the logo to see their inventory. 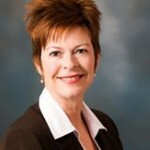 Ask for Lou Long our COTV Liaison. .
Lakeview Professional Services is A Proud SPONSOR of Corvettes of Temecula Valley. 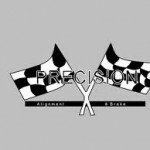 Dr. Diez is A SPONSOR of Corvettes of Temecula Valley. 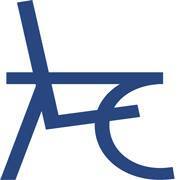 privately owned and operated. We have been serving the community since 1997. 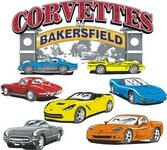 The Crowther Family is A Proud SPONSOR of Corvettes of Temecula Valley. 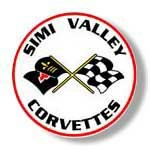 Glenn and Patty have been involved with Corvettes of Temecula Valley for over a decade. your vehicle is in great hands! Tim has extensive knowledge of domestic vehicles. John is a Master Certified ASE Technician with his expertise being import vehicles. pride in providing the freshest ingredients to ensure high quality Mexican food. Add Insulation is A Proud SPONSOR of Corvettes of Temecula Valley. We have insulated thousands of homes just like yours. Our success has been due to trust. outdoor mineral pool and our dry sauna. resin that is weather resistant and natural. the best automotive paint protection in the Temecula valley for over 10 years. major film manufactures and vehicle pattern designers. “It’s Not Just for Breakfast Anymore”. stay or just a day. and deals of the month. innovative techniques in order to continually improve his services. our pizzas fresh to order with no short cuts or compromises on flavor and quality. Specialty Hot Rods and Customs, to High End Vehicles, We can Align anything! 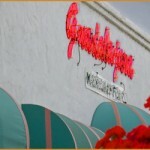 with the same philosophy they follow today – focused on serving good food to good people. National Corvette Museum – Located in Bowling Green Kentucky, the 68,000 sq. ft.
spanning the history of Corvette. very good working relationship with General Motors and the National Corvette Museum. 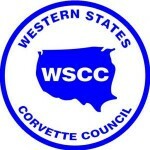 other two National Corvette Club organizations, NCRS and NCCC. Lots of Corvette photos, car show photos, and more. Seafood and Salad Bar, 1401 N. Harbor Blvd., Fullerton (Harbor Blvd. At Brea Blvd). .
6:30pm at Viva Villa restaurant, 1250 South “E” St., San Bernardino. (legally) enjoy doing with your CORVETTE, we do. comraderie with other corvette owners. interest and pleasure, in the owning and driving of the Chevrolet Corvette. as a group. We sponsor the Vettes for Veterans car show in November. driving pleasure and ownership of the Corvette. .
Bernardino and the Inland Temporary Homes are our current charities. 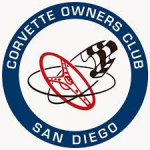 Our club was founded in 1956 and is one of the oldest corvette clubs on the planet. Center for the Blind and Vision Impaired. organization in the State of California. every generation, from early C1s through the very latest C7s. Owning a Corvette is NOT a requirement for membership! at 6:00. Our meetings are held at 3-Way Chevrolet 4501 Wible Rd. (99 and White Lane), Bakersfield, CA. Corvette owners from all over the Inland Empire. Chevrolet on the first Thursday of every month. We sponsor the Vette Set Car Show. other Corvette clubs and enthusiasts. with the club. New members are always welcome to join in the fun! and helping the community by the way of various service projects. Tuesday of each month. We welcome all Corvette owners. support a wide variety of activities for Corvette enthusiasts. and to ALS (Lou Gehrig’s disease), Golden West Chapter..
with over 200 attendees. We donate all the car show proceeds to local charities.